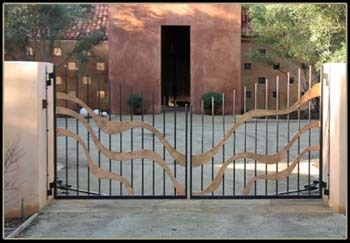 Custom bi-parting driveway gate with steel ribbons. Powder coated black, antique copper ribbons. These gates are automated.